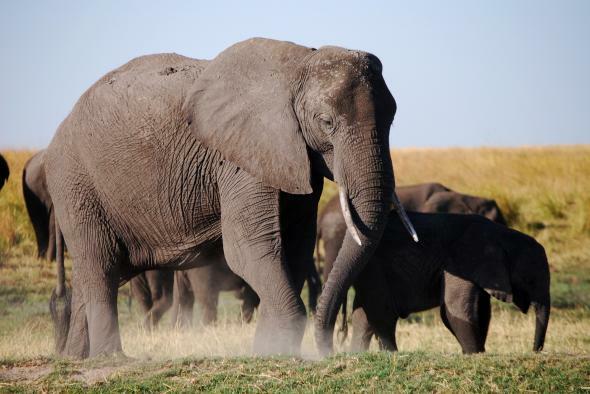 Elephant Refugees Flee to Last Stronghold in Africa « Nothing in Biology Makes Sense! We’re not talking about refugees. Not the kind that are flocking to Europe from Syria, but the four legged kind that are being over hunted. A national park in Botswana is struggling to support the staggering number of animals fleeing from poaching in other countries. Read about it over at National Geographic! This entry was posted in conservation, Endless forms most beautiful, natural history, politics. Incredible how intelligent they are. Tragic and ridiculous that they are being killed for such a tiny part of them.